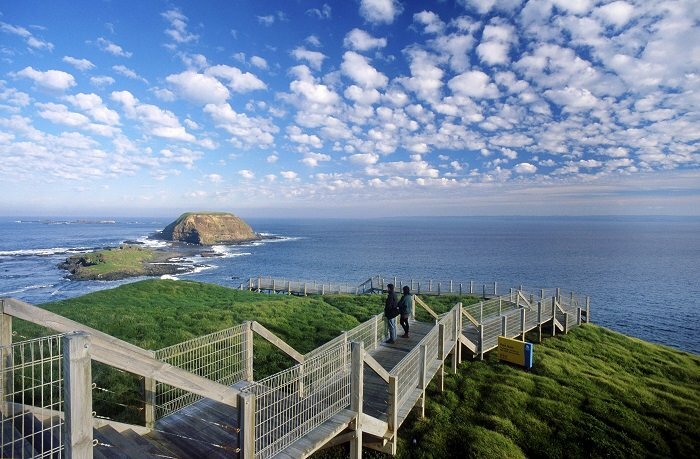 Phillip Island is a haven of natural beauty and sports some of the best animal-spotting opportunities in the country. On the pristine sands, you can get up close and personal with Little Penguins as they waddle up the beach, koalas, kangaroos, and other native species. 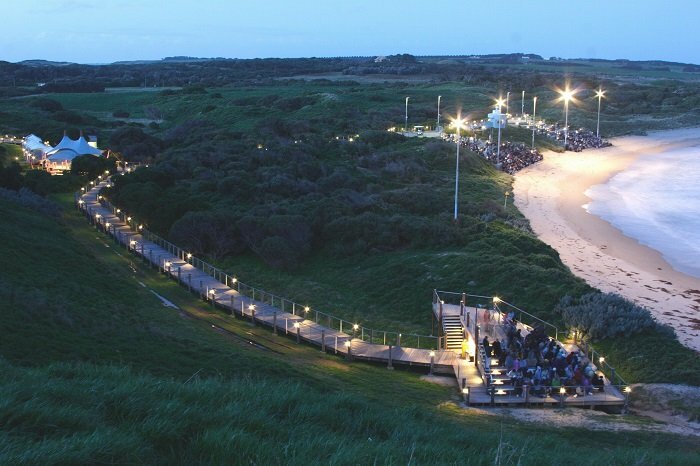 Book a Phillip Island and Penguin Tour to explore everything the island has to offer, from mesmerizing beaches to fascinating history. 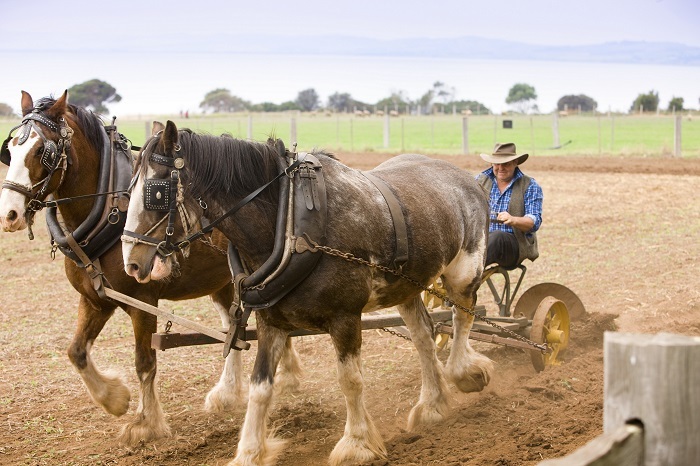 Our one-day adventure to Phillip Island begins in Melbourne, before we make our way to Warrook Homestead via Westernport Bay. Here, you can marvel at the lush mangrove forests and the colourful water birds that the area is known for. You can also catch a glimpse of French Island, a one-time penal colony. Once we get to Warrook Homestead, you can get up close and personal with kangaroos, and you can enjoy afternoon tea (at your own expense) against the stunning backdrop. Afterwards, it’s time to move on to Phillip Island. 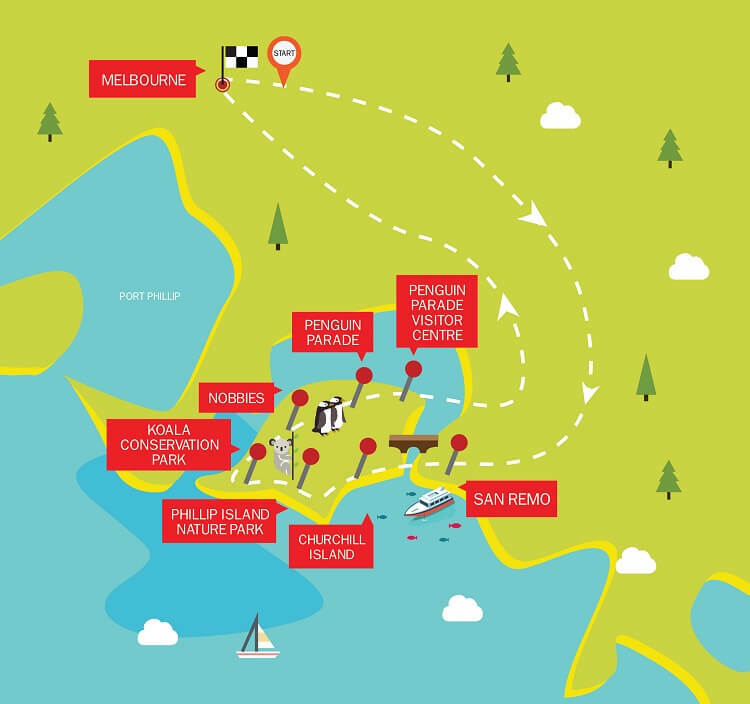 We’ll enter via the San Remo fishing village and make our way around the 100 square kilometre island, stopping en route at the charming town of Cowes. 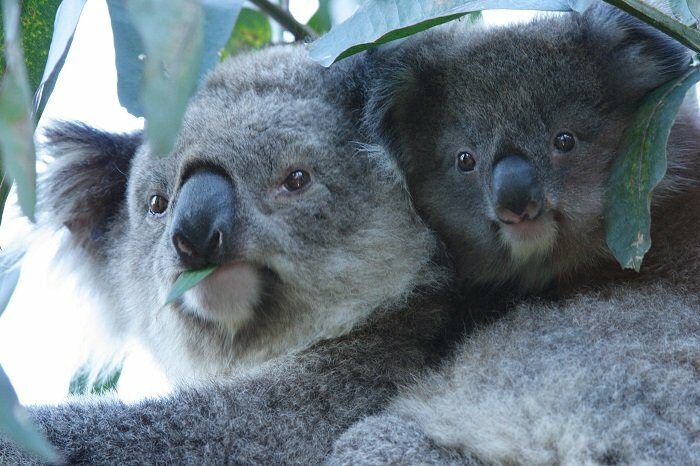 While here, we’ll visit the Koala Conservation Centre, where you can spot these cute critters and learn more about their habitat before heading to Seal Rocks. To end the day, we’ll watch the Penguin Parade as it makes its way up the beach. Hundreds of Little Penguins waddle ashore as the sun sets to bed down for the night, and you’ll have the unique opportunity to see this happen up close and personal. 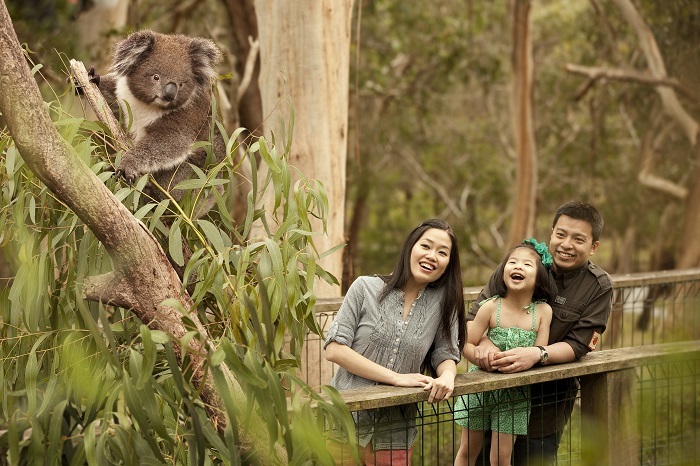 You can learn more about the cute critters in the on-site Visitor Centre before we head back to Melbourne. This is where this spectacular day of animal spotting and island-living unfortunately comes to an end.